Sit on a flat bench. Take a dumbbell in your right hand. Place your feet slightly wider than shoulder-width apart. Lean forward and rest your right forearm on top of your upper right thigh. Your palm should be pointed up. Tip: Wrist should be positioned on your knee. This will be your starting position. Inhaling, lower the dumbbell as far as possible. 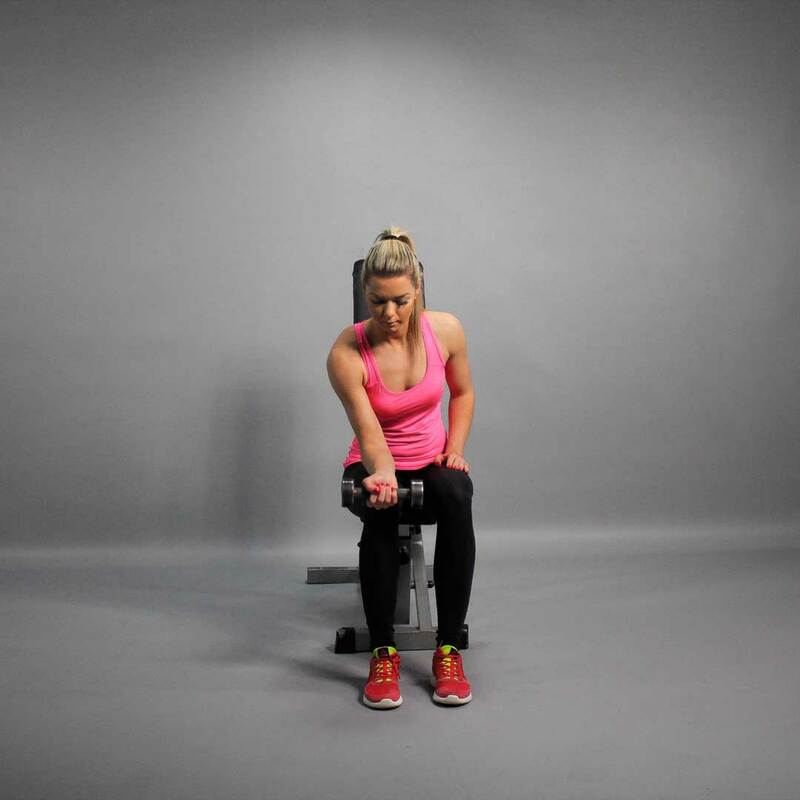 Exhaling, curl the dumbbell as high as possible, as you contract the forearms. Pause in this position for a few seconds before you return to starting position. Your forearms should be stationary as your wrist is the only movement needed to perform this exercise. Repeat for the required amount of repetitions. Switch arms and repeat the exercise.